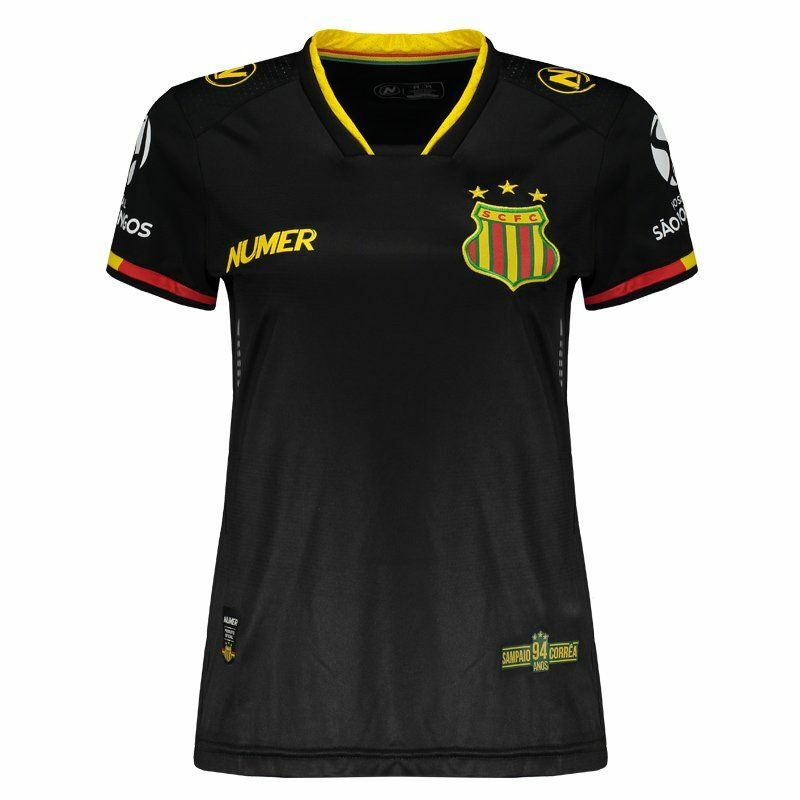 Developed by Numer, the third shirt of the Sampaio Corrêa for 2017, female model, is a great choise for the fans of the team to use in games or day to day. More info. 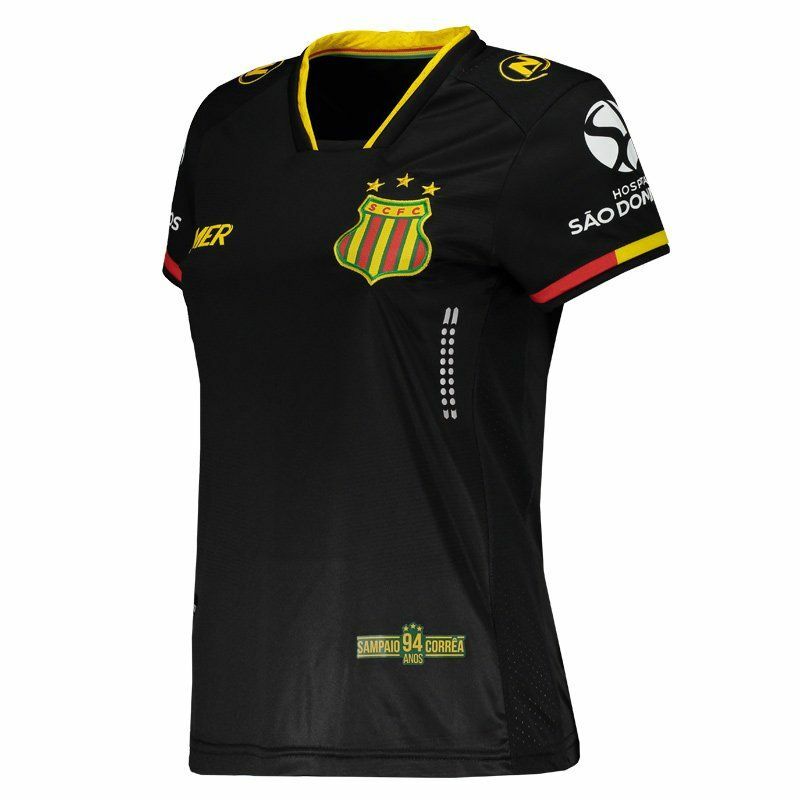 Developed by Numer, the third shirt of the Sampaio Corrêa for 2017, female model, is a great choise for the fans of the team to use in games or day to day. The piece is made of lightweight polyester with New Dry® technology, that provides a lightweight, comfortable fabric and provides high absorption of sweat from the body of the fan, keeping it dry and at a stable temperature. 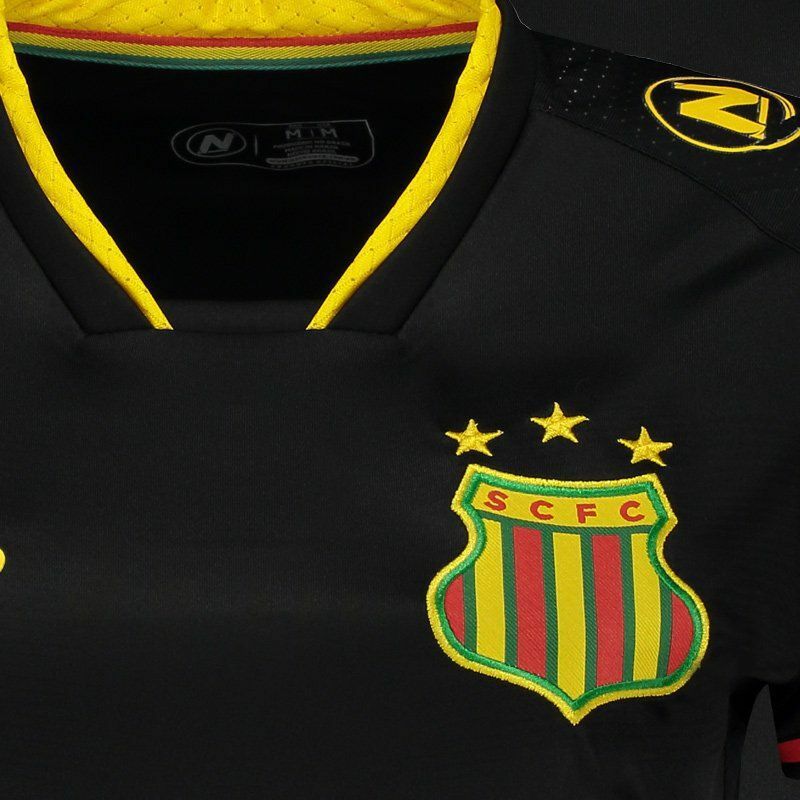 The design is predominantly black with details in yellow, red and green, plus bring the club badge embroidered on the chest. There is also next to the bar, a stamp in commemoration to the 94 years of the team. The sponsor logos are seen throughout the composition and the mantle has a distinctive cut neck. 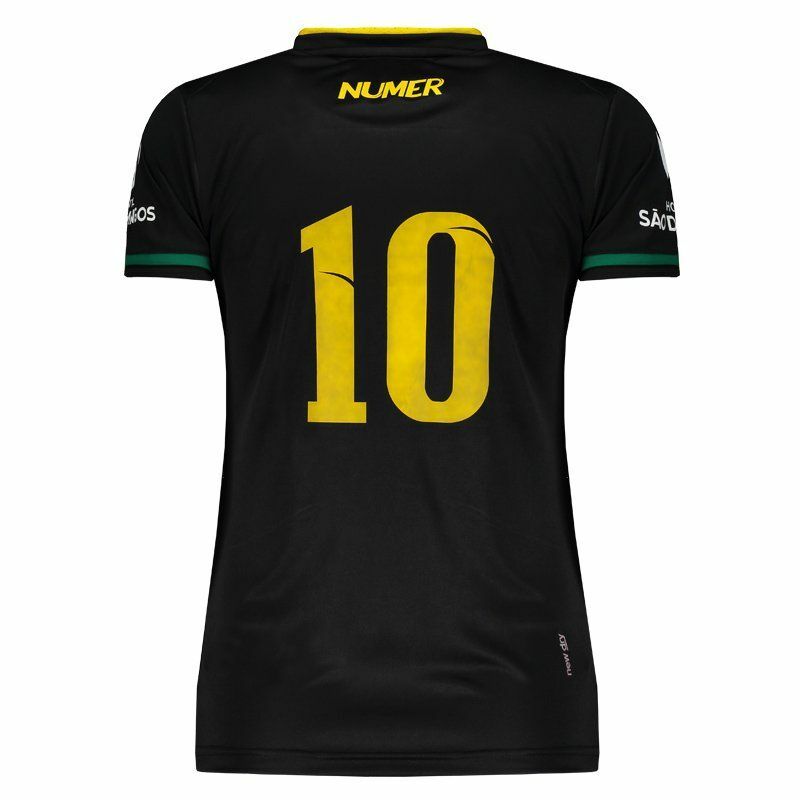 The sleeves are finished with fabric superimposed and finally, the shirt features the number 10 on the back and offers name customization. Get it now!